Thurs 6 June 2019, Doors: 19.00, Film Start: 21.00 . On Thursday 6th June, The Village Screen pop-up cinema is transforming one of the UK's best show caves - Peak Cavern - into a unique cinema experience, with a screening of 80's cult thriller, The Lost Boys. Ahead of the screening, they'll be transforming an area of the Peak Cavern car park into a street food haven, with food to relish from excellent local street food vendors, plus fantastic music by a live band. 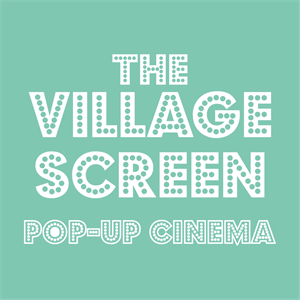 The Village Screen bar will be serving a selection of refreshing drinks, including craft beers, wines, Prosecco, soft drinks, and themed cocktails throughout the evening. Cinema-goers will be able to grab a box of fresh popcorn before making their way into the cave to watch the film. This is an incredible opportunity to experience a cinematic classic inside an awe-inspiring cave, and one not to be missed! Additional information and full event terms and conditions can be found at http://www.thevillagegreenevents.co/cinemaevents. An adult ticket includes admission for one person and a seat. Ticket price includes a film ticket, entry into the Peak Cavern cave, pre-film entertainment and access to food stalls, plus seating. Please see event T&Cs for full information. A concession ticket includes admission for one person and a seat. Students and seniors must show valid photographic identification on arrival. A Superior Adult Ticket includes admission for one person and a seat with a cushion located in a prime position. Ticket price includes a film ticket, entry into the Peak Cavern cave, pre-film entertainment and access to food stalls, plus seating with a cushion located in a prime position. Please see event T&Cs for full information. A Superior Concession Ticket includes admission for one person and a seat with a cushion located in a prime position. A Superior sofa ticket includes admission for two people, a sofa seat for two in a prime position, plus two blankets. Ticket price includes a film ticket for two people, entry into the Peak Cavern cave, pre-film entertainment and access to food stalls, plus a VIP sofa and two blankets. Please see event T&Cs for full information. A blanket hire costs £5 plus a £10 deposit payment. Your £10 deposit payment will be refunded to you if you return the blanket to the welcome desk at the end of the event. What if I've booked a Superior Sofa Ticket? A Superior Sofa Ticket includes admission for two people into the event, an inflatable sofa for two in a prime position, plus two blankets. Attendees will not be allocated a sofa seat, but there will be enough sofas for all Superior ticket holders. Will you be serving food and drink? Street food vendors will be set up in the car park area of the Peak Cavern (approx 200 metres from the cave entrance). There will be a fully stocked bar inside the cave. Guests are unable to bring their own food and drink into the event. We will be operating Challenge 25 so please remember to bring photographic identification to buy alcohol if you look or are under 25. Is there a minimum age for this event?There is a minimum age of 16 for this event. How do I contact customer services? For any queries relating specifically to the event, please contact info@thevillagegreenevents.co. For any queries relate specifically to tickets, please contact thevillagegreenevents@seetickets.com.